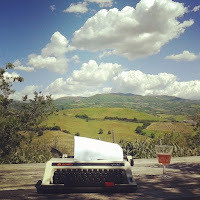 The month starts full speed with a festival in Montalcino. No, not Brunello tasting (again! ), but donkey races and anything else that will make sure you and your kids spend a fun international workers' day in Tuscany. The festival can be reached on a steam train from Siena (read my post should you be interested in this or other festivals paired with steam train traveling). A wonderful concert in an enchanting location: the male SAT choir singers will present their latest program of Italian folk songs at Sant'Antimo Abbey near Montalcino. A video and the detailed program can be found on our Montalcino Blog. Rather go for some trekking? May 1- trekking, broad beans and Pecorino cheese on the Isle of Giglio. May 6 - spring festival and guided walks on the Isle of Giannutri. Click here for program and booking of the Walking Festival. 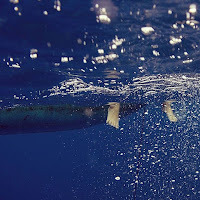 The palamita (Atlantic bonito) is a fish of the Mediterranean sea which belongs to the tuna and mackerel family. The fact that the Tuscan sea palamita has its own Slow Food Presidium says a lot about the historic and nutritional importance of this fish. Call it a poor people's fish - if you know how to cook it, it's just delicious. A weekend in San Vincenzo will make sure you'll be able to try endless varieties of the atlantic bonito - grilled, steamed or under oil. Beautiful photos and more details on the event by food blogger Emiko Davies on Honest Cooking. And if you can't come to town, you may want to try and prepare it yourself. Talented Giulia from Jul's Kitchen knows how to pair palamita with Tuscany's extra virgin olive oil. And as much as I love palamita - I'll have to be true to my Tuscan village and spend the first May weekend walking the splendid hills of my Tuscan 'hometown'. The yearly trekking takes place on the first weekend of May (Saturday for kids, Sunday for adults), whereas the month is finished of with 'wine and bike on the last Sunday of May. For more info read on here: Trekking in Cinigiano. The famous oldtimer car race (from Brescia to Rome and back) will come through Tuscany on the 19th of May. Amateur photographers will want to hang out in the Val d'Orcia or Crete Senesi on the morning to catch the amazing cars going by in front of some stunning scenery. 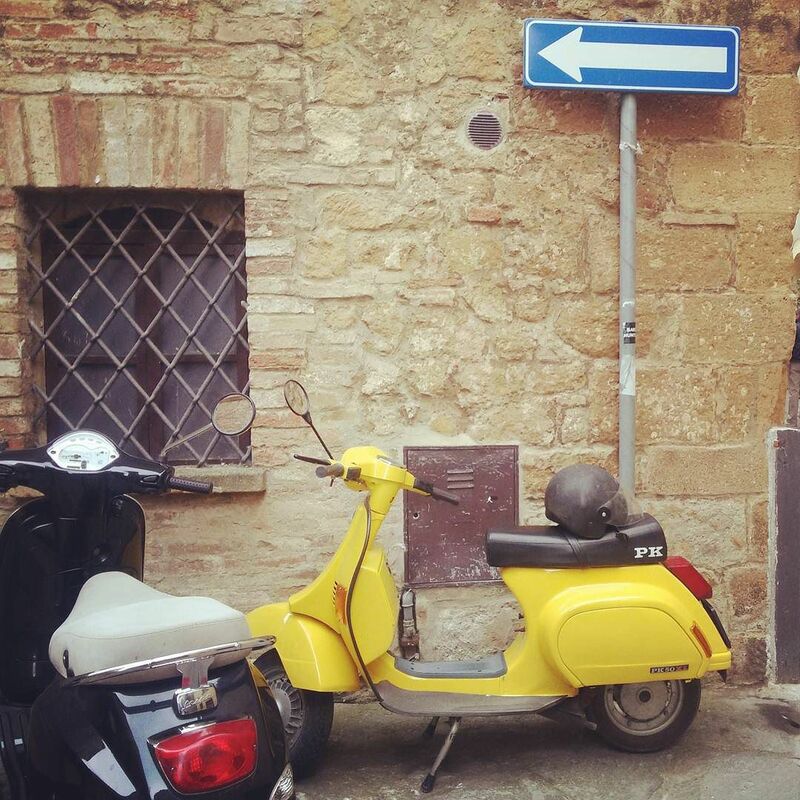 My favorite place to cheer on the drivers is whilst having Cappuccino in Buonconvento's beautiful old town. Cars will be coming in some when between 10am an 1pm. May 26/27 large scale aeromodel on the loose at Monte Argentario Polo Club Now I wouldn't have dreamt of going here, but too late: my seven year old son has already seen this video on the aeromodel club website. Had enough of airplane model acrobatics? Let's move on and taste some Southern Tuscan wine. I normally drink my neighbor's wines at home, but if you want to have a try too, make sure you check in at the Maremma wine and food shire. The event has joined the food and wine leg (before they used to be run in two separate events) and now take over Grosseto's exposition space all in one go. 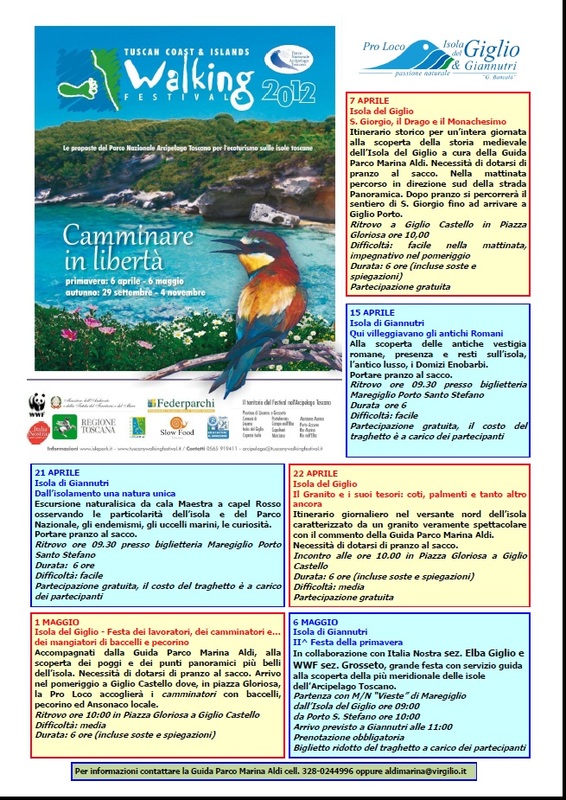 To celebrate the invention of national parks (the first national park in Europe was founded in Sweden in 1909), the Maremma National Park together with the Region of Tuscany organizes several events this May. 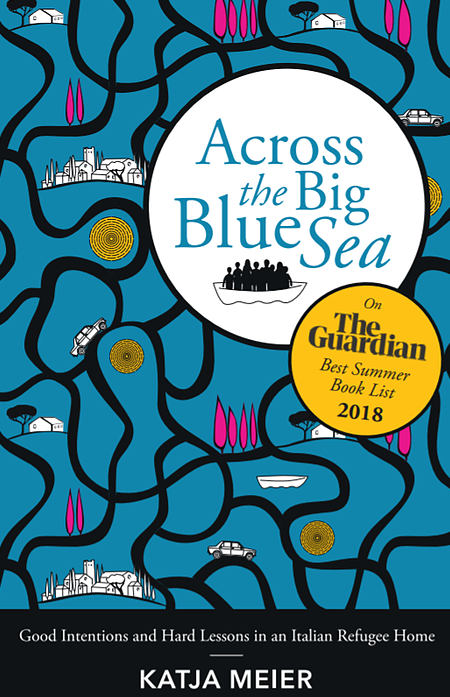 Most of the events are for free, so if you travel Tuscany on a shoestring, you may want to sign up for some free horseback riding along the stunning national park beaches or for free canoeing on the river Ombrone. I also love the idea of the organised bike ride through the park on Sunday (partly on roads that can't be accessed normally). Bring your own bicycle or rent one in Alberese's town center (8-10 Euro per bike per day). Any bike goes, so don't worry about having to ship over your MTB. By the end of the day, there will be a free wine tasting in town accompanied by Gigetto del Bicchiere, a Tuscan folk music group. May is strawberry season in Tuscany - and Marsiliana in the most Southern Tip of the region spends two weekends preparing the fruit in every way you can think of. Food stalls, plus an artisan market on the second weekend and a big firework to call it a day on Sunday 29th.